Click the button below to add the Waterbed Pedestal Pine Riser Base to your wish list. Designed with simplicity in mind, this Waterbed Pedestal offers the high quality construction most consumers are searching for. 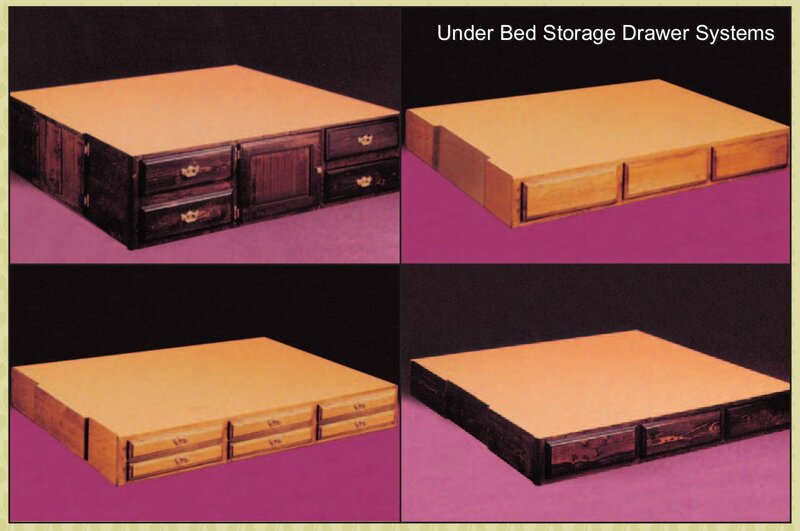 6-Drawer 9-inch Riser Elevate your waterbed frame 9-inches above the floor, 6-drawer storage included. 6-Drawer Captain's Pedestal Elavate your hardside waterbed frame 18-inches for truly high-profile sleep. A solid pine hardside waterbed riser is an essential add-on when you are setting up the frame and supports for your hardside waterbed. When you are embracing all the benefits of Zero-G sleep that a waterbed mattress can offer you need to have the proper support base for the waterbed itself. Unfortunately these specially designed bed-frame pedestals can be the hardest part of the waterbed to locate. There are very few manufacturers who make them. Unless you are a skilled woodworker, it is probably too big a project for most weekenders. At Waterbed Bargains, we’ve partnered with some of the finest craftsmen to create a series of hardside waterbed foundations that will properly support your waterbed and which are designed to bear the immense weight of a fully filled hardside waterbed. These waterbed pedestal risers are easily assembled in your home and they ship in a very affordable manner. You will truly feel weightless when you sleep on a high-quality hardsided waterbed that is properly supported by the right waterbed frame, headboard and riser base. Note: Images are approximate colors only- Actal color may be slightly different.